The PsyD program in School Psychology at Alfred University follows a practitioner-scientist model. It is designed to prepare psychologists to practice advanced skills in schools and other child and family settings, and to prepare graduates for positions in applied research, administration and supervision, mental health agencies, hospitals, higher education, and private practice. Our doctoral program involves three years of full-time coursework and practica; a year-long, full-time doctoral internship; and the completion of a doctoral dissertation. The program is approved by the National Association of School Psychologists (NASP) and is accredited by the New York State Psychology Licensing Board and the New York State Education Department. Therefore, our graduates can become licensed psychologists and certified school psychologists. Our program is accredited by the American Psychological Association (APA), but we have been placed on probation. This status occurred because of the length of time that our students have taken to complete their dissertations in recent years. We are revising our program and processes to facilitate more timely completion of the program, and are optimistic that the situation will be resolved during 2019. Questions related to the program’s accredited status should be directed to the Commission on Accreditation: Office of Program Consultation and Accreditation American Psychological Association 750 1st Street, NE, Washington, DC 20002 Phone: (202) 336-5979. Beginning in Year 5, you must enroll each semester for a minimum of 3 credits until the completion of all program requirements. Our APA-accredited doctoral program involves three years of full-time coursework and practica; a year-long, full-time doctoral internship; and the completion of a doctoral dissertation. After two years in the program, our students receive their Master of Arts degree. All requirements for the PsyD degree must be completed within seven years of matriculation into the program. We accept applicants with their bachelor's degree, master's in other areas of Psychology, and advanced-standing students who have a Master's Degree in School Psychology. 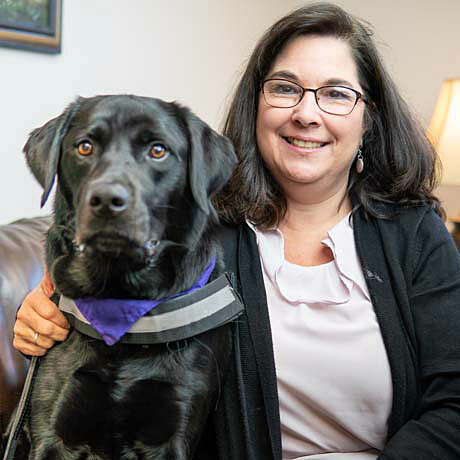 If you have a master’s degree in School Psychology from programs other than Alfred University, you should contact Dr. Jana Atlas to discuss admission to the program. Finally, incoming doctoral students are considered for a small number of fellowships that provide additional funding during their first year of enrollment. Reflecting the rapid growth in the knowledge base in professional psychology, as well as the accreditation guidelines of American Psychological Association (APA), the program at AU blends a substantial foundation in the basic science of psychology with its longstanding tradition of extensive field experience and practical skills development. Beginning in the first semester of the program, you will participate in extensive fieldwork in Alfred-area school systems. You are placed in a local public school one day per week for the entire school year, where you gain graduated experience working with both regular education children as well as those with special needs. Such practical experience assists you in developing an understanding of the complexities of the school environment and allows you to begin to acquire valuable skills in communication, consultation, assessment, and intervention. These practica lay a foundation of knowledge and experience that better prepares you for the challenges you will encounter as a professional school psychologist. School psychology faculty members closely coordinate with on-site supervisors to facilitate this fieldwork. On-site supervisors formally evaluate you each semester on the competencies specified by program faculty. 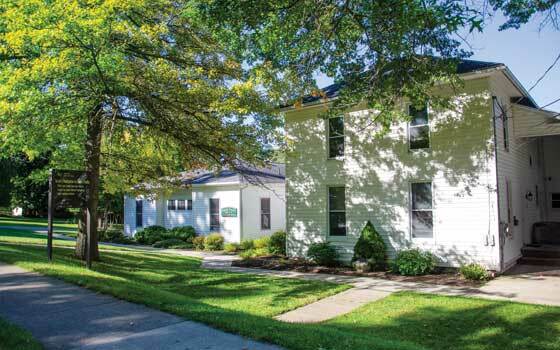 During the second year, you have experience in the Child and Family Services Center, a recently renovated spacious on-campus facility with a state-of-the-art communication/observation system. Not only does this practicum expose students to the environment of a community clinic, but gives them direct experience in intake assessment, psycho-educational assessment, consultation, and intervention with children and their families. Licensed psychologists from the school psychology faculty directly supervise this work through closed-circuit television, two-way mirror observation, audio and video taping, and individual and group case conferencing. Advanced doctoral students continue to develop their applied skills through individually designed practicum placements during their third year of coursework. These practicum placements may take place in counseling and mental health agencies, in schools or agencies serving specific client populations, or in public school settings. Doctoral students participate in professional roles under the close supervision of field and university supervisors. You must complete at least one year of full time internship. This experience is the culmination of your classroom and previous fieldwork and allows you to perform the duties of a professional psychologist under the supervision of an on-site doctoral level licensed psychologist. Faculty members coordinate with internship sites to insure quality control and consistency with the goals and objectives of the program. Interns are compensated with a stipend from the internship site during this year of fieldwork. The program at Alfred University is strongly committed to training practitioner-scientists. Thus, we expect our students to be both knowledgeable consumers and active practitioners of research. During the first year of the program, you will work as an apprentice to a faculty member. You may develop your own study or work on a study developed by a faculty member or a more advanced doctoral student. Through this orientation, you gain experience in planning and conducting research, analyzing data, and writing manuscripts or presentations. Across the second and third years of the program, doctoral students take three courses in Statistical Analysis and Research Design. Thus, you will understand a broad range of research methodologies, as well as basic and advanced statistical techniques. The dissertation is the culminating student research experience. Through this experience, you conduct an independent research project on a topic you select related to the practice of psychology with children and families. This project is supervised by a sponsoring committee of faculty members. Students and faculty members regularly work on additional research projects with one another. The mission of the PsyD program at Alfred University is the preparation of psychologists for applied professional practice in schools and other child and family oriented settings. In pursuing its mission, the program pursues goals for its students in the areas of personal, professional, and research competencies. To produce professional psychologists with the personal qualities, interpersonal skills and awareness, and the ethical sensitivity predictive of success in a broad array of social, economic, and political contexts. To produce psychologists competent to access a broad range of theoretical and practical approaches with sufficient depth to be effective, flexible practitioners. To produce professional psychologists competent in the conduct, comprehension, and application of research to professional practice. 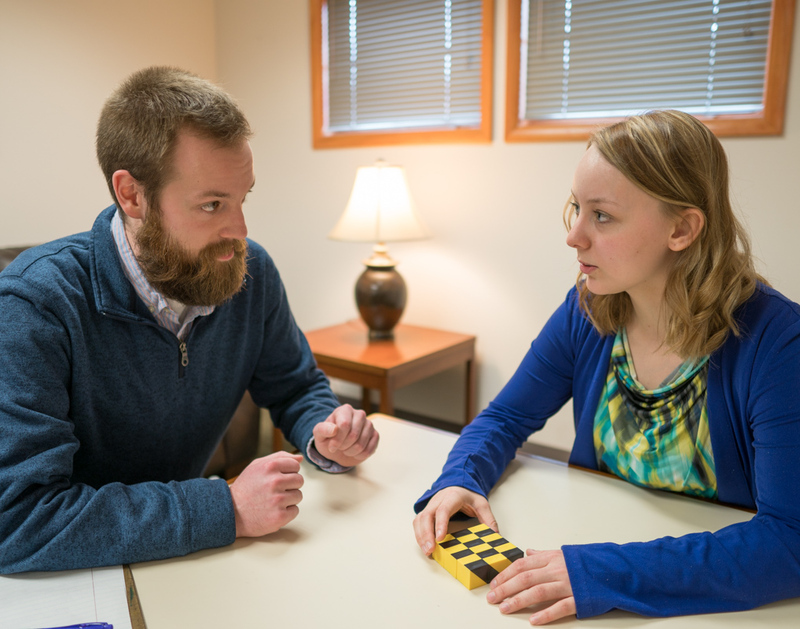 The PsyD Program in School Psychology at Alfred can be completed in a minimum of four years, inclusive of the internship and dissertation for students beginning with a Bachelor’s Degree. Most students take longer, as many elect to take additional practicum or internship options which extend the timeline while greatly enriching the experience gained by students. The following table presents data from all program graduates within the past seven years, illustrating program completion rates. Students entering the program with previous graduate-level coursework may be able to gain transfer credit. Such credits must be in courses in which the student earned a grade of B or better, and which duplicate coursework in Alfred University's School Psychology Program in breadth and depth. Students must complete at least half of their required coursework at Alfred University and attend for at least two years. 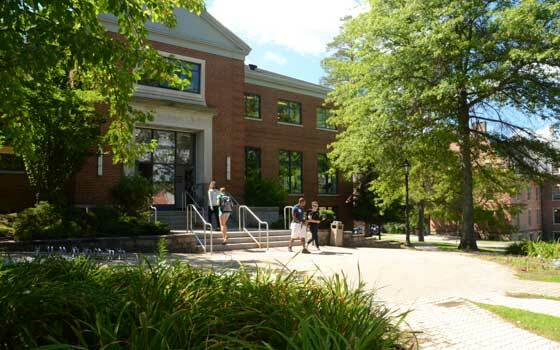 PsyD students at Alfred typically matriculate as full-time students, and are thus eligible for additional financial aid. The estimated costs of attendance for 2016-2017 are listed below. Doctoral Fellowships providing additional funding for the first year are awarded to three or four incoming students based on evaluation of application credentials. Grants and contracts obtained by the Lea R. Powell Institute for Children and Families are often available to provide additional stipends, as well as offering rich clinical or research experiences. A small number of full-tuition assistantships are awarded beginning in the second year. 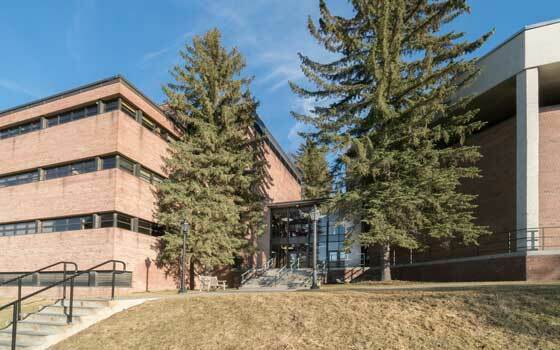 Students in the PsyD program at Alfred enjoy a 100% success rate in securing internships. Most students are seeking positions in school sites which offer the range of experiences consistent with their career goals for practice in school settings. Others seek quality internships combining school and hospital or agency experiences. Those students whose career goals involve advanced training for research or academic careers seek internships that are APA-accredited or offered by APPIC members. All internships are high quality and meet the guidelines established by the Council of Directors of School Psychology Programs (CDSPP). Nearly every student secures a funded internship. 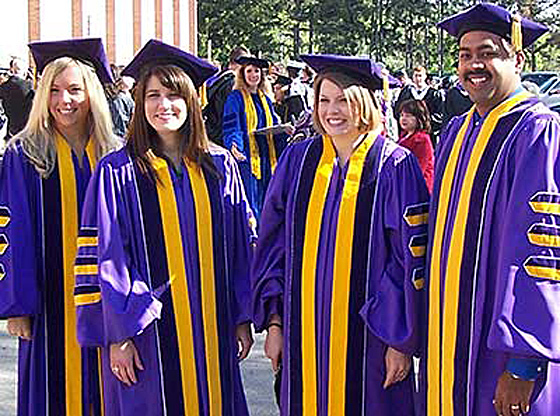 Doctoral students at Alfred have a strong completion rate for the doctoral program. The mentoring and peer support help students to remain engaged and productive during coursework, internship, and dissertation phrases of the program. The PsyD Program in School Psychology at Alfred is approved by the State of New York as offering licensure-qualifying training which meets all educational requirements for the License in Psychology. Some of our students seek licensure, which allows them to practice independently, and to bill Medicaid for services offered in schools. Graduates who practice in schools do not need a license, but become certified as school psychologists according to state education regulations. Graduates of the program often receive multiple job offers, with recent starting salaries reported to range from $45,000 to $57,000 depending on location. Our graduates are working in New York and over 20 other states, ranging from Florida to California and Hawaii. They are working in rural, urban, and suburban locations. Our Doctoral graduates have found employment in school settings, mental health agencies, private practice, corporate settings, human resources, employee assistance programs, teaching in university settings, and research settings. School Psychology graduate students work closely with the AU Career Development Center in seeking employment.